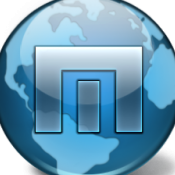 Why Maxthon Browser in earlier versions V4.9.3.1000 and "Send Cloud" option has been removed? They promised to make it better in MX5. Jeff said that now it does not work as he wishes.